Good Food in South Deerfield! 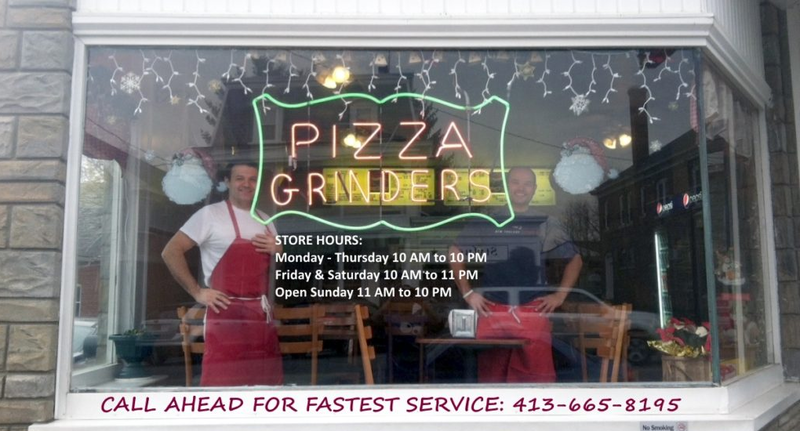 Holiday Pizza has been a fun dining fixture in South Deerfield for over 20 years. Family-owned and operated, this pizzeria makes authentic hand-made pizza and calzones with fresh toppings, a light crispy crust and a lot of attention to detail. If you feel like something quick to go, the sandwiches, wraps and subs are equally fresh and delicious. If you’ve got dinner on your mind, you can also choose from a variety of pasta dishes made with fresh, homemade sauce and a nice selection of proteins – from meatballs to veal, and pretty much everything in-between. Salads and chicken wings round out the selection – so you can stay green and healthy – or eat like a king while the ballgame is on, enjoying one (or more) of their great wing sauces. Dine in the cozy comfort of the storefront dining area, or call ahead for takeout. Either way, you’re going to enjoy a Holiday when you stop in!